Dolpa trek Unlimited places and uncharted mystical destinations are still available in Nepal waiting to be explored to the fullest. The land made famous by the Eric Valise the famous documentary filmmaker from France in his documentary Caravan featuring the Thinle the Dolpo Region ever since has become a familiar place. There are numerous attractive and alluring fascinations of the Mother Nature and cultural brilliance in Dolpo. There are two distinctive trekking destinations in this region being Lower Dolpo and Upper Dolpo. These places are tied by the beautiful Shey Phoksundo Lake inside the Phoksundo National Park. 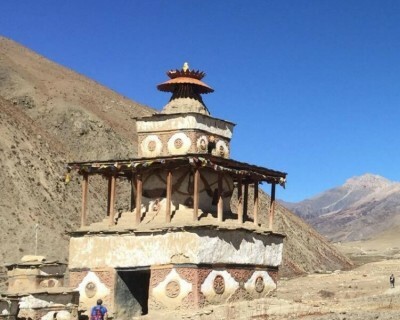 Nepal Hiking Trek offers two dolpa trek of the most interesting places of this region separated by the number of days for the trekking in Nepal. Lower Dolpo region is highly diversified in terms of the natural resources and cultural community. As the trekking gradually goes higher the tree lines and the community starts to differ. The more hilly culture and temperate forests belt start to make way for the alpine forests belt and Tibetan origin of people. On the bank of the Phoksundo River, you will find the scattered tree lines as you move further. The major highlight of this trek is the Shey Phoksundo Lake. 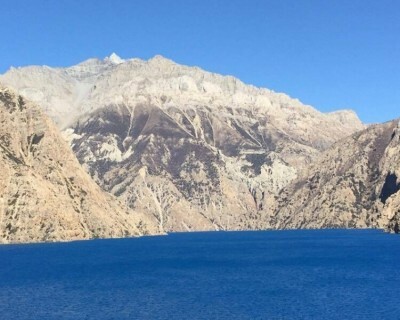 This is the deepest lake of Nepal. Other than the lake the vegetations, animals, and birds are also the attractions. In the Upper Dolpo, Phoksundo Lake and the Shey Gompa are the major attractions. These places of the Dolpo offer the breathtaking views of the Himalayas and full of the wilderness adventure. The experienced team of the Nepal Hiking Trek will help you identify the culture and nature of the host people and Dolpo. Are you Looking dolpa trek visit with us Nepal Hiking Trek local travel agent from Nepal we offer all trekking in Nepal and remote trekking area as well e.g. Mustang Region, Manaslu Region, Dolpa Region to the mystical fabled land of the Dolpo Region of Nepal? The most competitive rates and highly experienced trekking crew members will make your holiday in Nepal a mesmerizing tale of events. For more detail contact us local expertise community-based travel agency Nepal hiking Trek. Are you Looking for less tourist trekking route is the best option for dolpa trek.